This annual competition is designed to recognize Canadian composers who are 30 years of age and under, for original concert music works in the following five categories: large ensemble, chamber ensemble, solo or duet, vocal, and electroacoustics. Four prizes will be offered in each of five categories: 1st prize — $3,000; 2nd prize — $2,250; 3rd prize — $1,500; Young Composer Prize — $1,500 (21 years of age and younger). The John Weinzweig Grand Prize of $3,000 for the best overall work may also be awarded. Entries submitted will be examined by a jury of prominent composers selected by the SOCAN Foundation. Excellence will be an overriding factor in adjudication. The Sir Ernest MacMillan Awards, for compositions requiring no fewer than 13 performers up to full symphony orchestra, which may include vocal participation and may be scored to include electroacoustics. The Serge Garant Awards, for compositions requiring a minimum of three performers to a maximum of 12 performers with or without voice and/or electroacoustics. The Pierre Mercure Awards, for solo or duet compositions, with or without voices and/or electroacoustics. The Hugh Le Caine Awards, for live or recorded electroacoustics, where the intended performance is, at least in part, through loudspeakers. Works in this category may be multi-media and may include acoustic instrument(s) or voice(s), live or recorded. The principal element in the work must be electroacoustic. The Godfrey Ridout Awards, for works of any number of voices with or without instrumentation and/or electroacoustics. All compositions submitted by applicants 21 years and under compete first for the 1st, 2nd, and 3rd prizes in the Emerging Composers Competition. Compositions written by applicants who are 21 years of age or younger by the deadline of the competition, and have not been awarded 1st, 2nd, and 3rd prizes in their respective category will then be considered for the Younger Composer Prize. There is not a separate entry procedure for the Young composer Prize. The competition is open to composers who are 30 years of age or under on the application deadline. Candidates must be Canadians and SOCAN members or Canadians who are not members of any performing rights organization. Works submitted must be original, composed within three years of the application deadline, and at least five minutes in duration. Arrangements are not eligible. 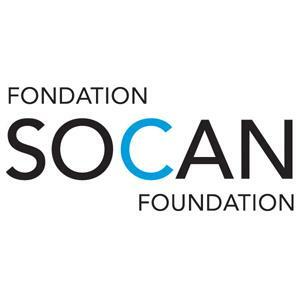 Entries that were award winners in previous SOCAN Foundation Awards are not eligible. Recipients of the John Weinzweig Grand Prize are not eligible to reapply in subsequent years. SOCAN and SOCAN Foundation board members and employees are not eligible.